Since the Sperl v. C.H. Robinson decision in 2011, freight brokers have been fighting liability for the actions of motor carriers and their drivers. 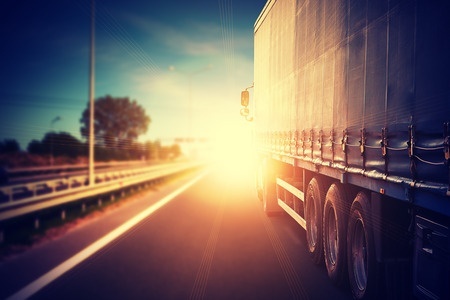 In Sperl, an Illinois Appellate Court affirmed an eight-figure judgment against a broker who was found to have a principal-agent relationship with the motor carrier’s truck driver. The Sperl case gave plaintiffs’ attorneys a new theory to expand liability against multiple types of companies in the commercial transportation industry, including brokers. In 2019, almost eight years after the initial Sperl decision, an Illinois Appellate Court has finally placed clear limitations on the use of Sperl. In Brettman v. M&G Truck Brokerage, et al., an Illinois Appellate Court held that a broker cannot be held liable for acts that occur post-delivery. In the underlying case, a freight broker contracted with a motor carrier to arrange a shipment of cucumbers from Texas to Woodstock, Illinois. The broker passed along certain instructions for the trip, including temperature requirements, the deadline for delivery, and a requirement of daily check-ins. After completing the delivery and while waiting on a new load assignment, the defendant driver was involved in an accident with the plaintiff. The court reasoned that any type of relationship, including agency, between the driver and the broker ceased to exist when he completed his contractual obligation to deliver the load. At the moment of delivery, the broker stopped exercising any control over the driver because the driver was open to taking new assignments from any other broker. The court also explicitly rejected the plaintiff’s push to expand Illinois law on negligent hiring and retention. Although plaintiff argued that the negligent act that caused the accident occurred pre-delivery, the court unequivocally expressed that the cause of the accident was the worker, and not the work itself. The broker could not be held liable under the theory of negligent hiring if the injury did not stem from the work the broker contracted for. A broker cannot be liable under negligent hiring when the driver was not operating his or her vehicle to perform contracted-for work when the injury occurred. With the Brettman decision, brokers received some clear limitations on possible liability in Illinois. Sperl remains an ongoing thorn to the industry, but decisions like Brettman help reign in some of the potential exposures.